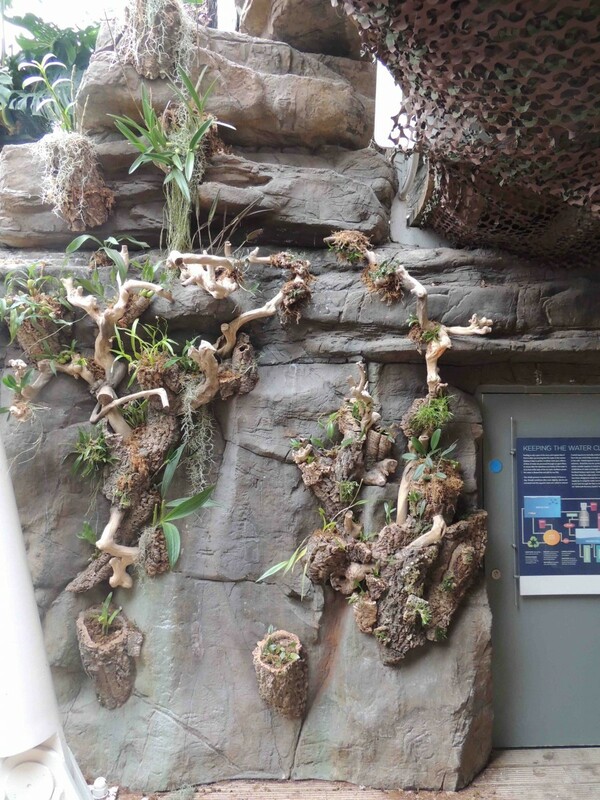 After a hard but enjoyable day’s work the new Bristol Aquarium Cloud Forest Orchid Display is all planted and ready for us to add information names and interactive activities. The display includes fifty five orchid species and these are grouped by pollinator – Bee, butterfly, moth, humming bird, ant, fly and midge/gnat. If you want to see which species are in each section you will have to visit the Aquarium. With two large permanent orchid displays the Bristol Aquarium is quite an orchid attraction – the bonus is you also get to see some fish! 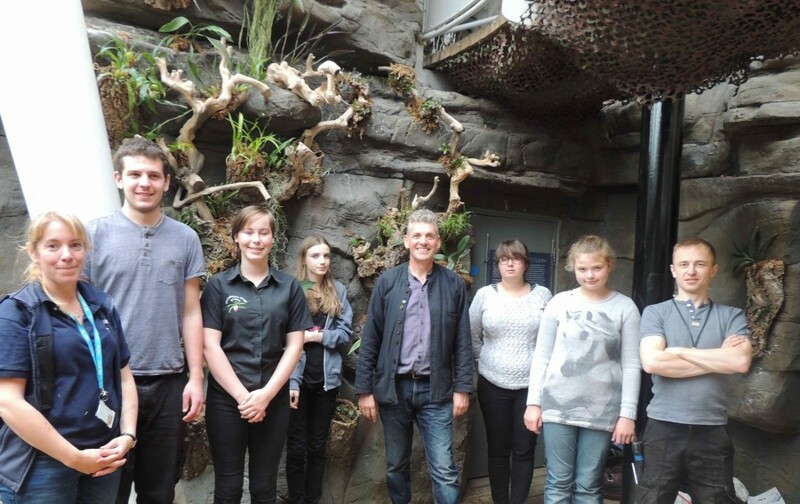 Well done again to the team; Laura, Hannah, Zea, Chloe, Jacob, Georgia and Simon from Writhlington/Mendip, and Matt and Wendy from the Aquarium.